The name derives from the Slavic language and means "fortified place". 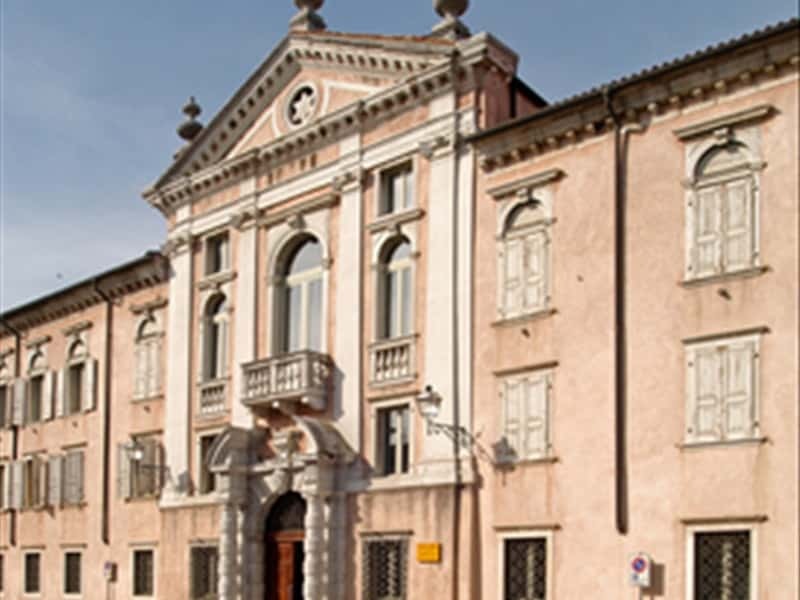 Municipality in the province of Gorizia, located on the left bank of the Isonzo River, it is a characteristic medieval fortress-city, built in Renaissance style, where one can still admire fortifications and architecture in Venetian style. The walls still encompass the town, characterized by parallel roads on three sides, while the fourth was demolished in the XIX century to allow for expansion of the town center. Probably inhabited since Roman times, in the Lombard period, the area was repeatedly invaded by the Hungarians. It appears quoted as submitted to the Patriarch of Aquileia in a document dating from the second half of the XII century. The town was ceded in fief to Farra d'Isonzo and gained reputation and flourished at the end of the XV century, when the city of Venice realized that it was located in a key point for protecting the eastern borders of its territory against the expansionist aims of the Counts of Gorizia, and especially against Turkish raids. The area was chosen because, here, the Isonzo River creates an effective barrier against any enemy attack. At the beginning of the XVI century, the League of Cambrai, led by Austria, ordered the retreat of the troops of the Serenissima and Gradisca was obliged to cede its territories to the Habsburgs which, in turn, further reinforced the city's defenses. Napoleon conquered the area in 1797. - the Tower of Portello; . - the Porta Nuova, surmounted by the crest of the Habsburgs. This town web page has been visited 24,730 times.